Using your favourite survey tool to create an interactive evaluation on an Coassemble tile. We get a lot of questions at Coassemble about what is the best way to evaluate the lessons you create inside an Coassemble course. So in this article we will look at a step by step guide to adding a survey or evaluation to your online lessons. For this example we have chosen our favourite survey tool. 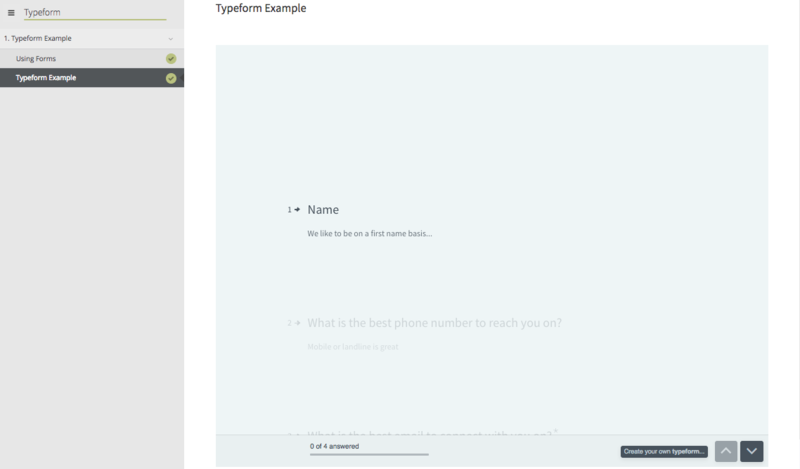 We think the guys at Typeform have a pretty amazing product and the way their forms display are super easy for anyone to fill out... making them a nice fit with Coassemble. However this article will probably work with most survey tools that provide a public URL as a publish option. To get started you will need to get your survey or evaluation URL. 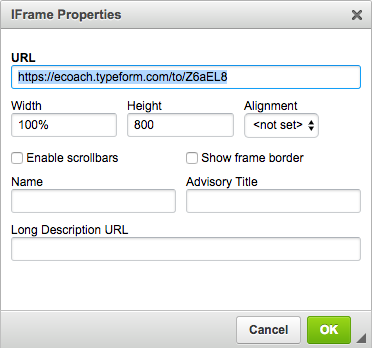 Below is an example of using a Typeform survey. 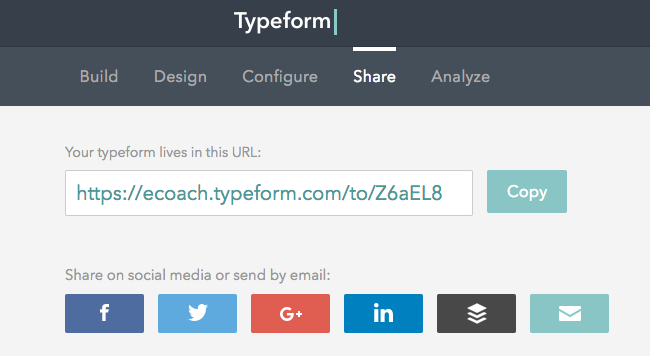 To collect the survey URL inside Typeform head to the "Share" page and see the "Share your typeform" tab. Copy the URL in the box or click the "Copy" button to get the URL. Then head over to your Coassemble lesson, where you want to embed the code and select a new "Text and image" template. Once in the tile edit screen, select the "world map" icon to enter your URL. Please note that their are other settings that will need consideration, depending on how you want your participants to view the form. Save and preview your new survey inside your tile. Or save and then publish your new lesson and test your evaluation or survey by heading to the lesson URL. That is it! You now have the ability to ask your participants to evaluate your lessons and courses and you can see some real insights into their learning experience.